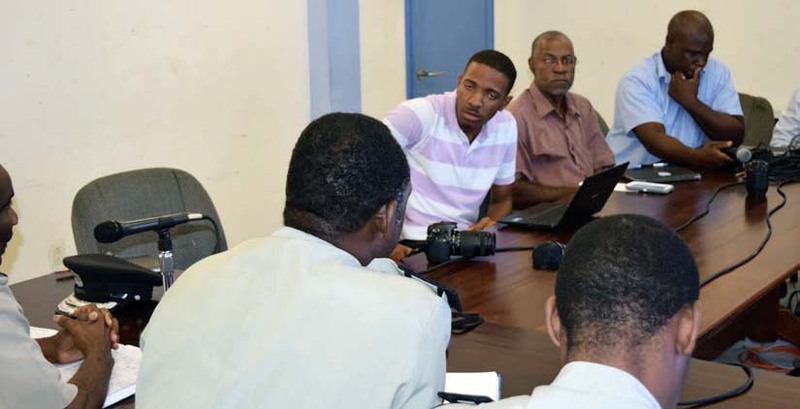 Top Management of Royal Montserrat Police Service (RMPS) on Friday 20, 2015 held a press conference, the first for 2015 and for quite some time and since the departure of Canadian, Deputy Bradley Siddell. Citing that this was to be the first of regular monthly press conferences, Commissioner Steve Forster, Deputy Commissioner Charles Thompson and Assistant Superintendent (acting) Bennett Karwin faced ZJB and The Montserrat Reporter media members and spoke on the challenges, weaknesses and strengths of policing in Montserrat as well as answered question from them during. In his introduction Police Commissioner Steve Forster noted community policing as being top priority on the agenda for the men and woman in uniform in 2015 .”We attended held a number of village meetings; in the Davy Hill area, and also the Lookout community group.” he said, where they shared and discussed with the groups. 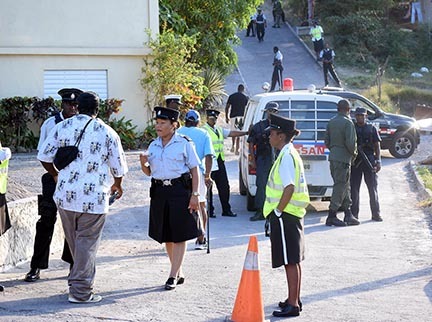 Having recently published the comparative crime statistics for 2014, Mr. Foster spoke to the consistent overall decline in crime during the past five years alluding to statistics from 2010 to 2014 presented by the Police Service in January 2015. The chief cop made special reference to 2012 as a challenging year for the police service. Securing of the coastal borderlines and the exclusion zone as usual came up for discussion. This, continues to be a challenge for the police according to the Commissioner, but he said that during the 2015 budgetary talks with DIFID there was urgent emphasis on the need for security equipment both in sea and on land, as he cited the inadequacy of the current coast guard vessel which simply can’t meet the work load placed on it. He praised Governor Adrian Davis for adding to the emphasis of the urgent needs for these equipment during the budgetary talks. The media led off the statement and the Commissioner seemed hard pressed to respond under which of these three arms he was controlled. At first he responded that he served independently but finally admitted he reported to the Governor who had responsibility for security and the justice system. 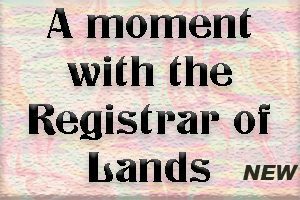 The police management team also confirmed that contrary to responses that the police had little to do with the new mode of vehicular licensing procedure the Police Service was involved in the process from since its inception. They apologised for information previously provided by officers. 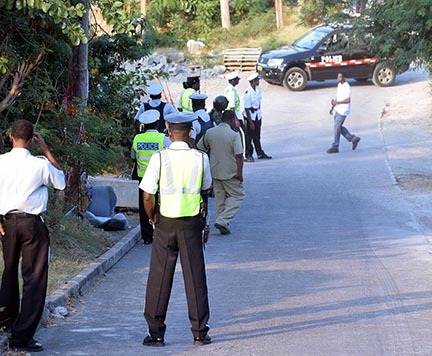 At the close the management team emphasised that despite the many challenges the law men says it’s their goal to maintain the peace and safety enjoyed on Montserrat and that they will continue to carry out operations to maintain this.